Verizon seems to think that BlackBerry users are looking for a better way to get songs on their device. Transfering media to a microSD card for playback on your BlackBerry is far from difficult, but with slotRadio+ you can cut out all the hard steps. 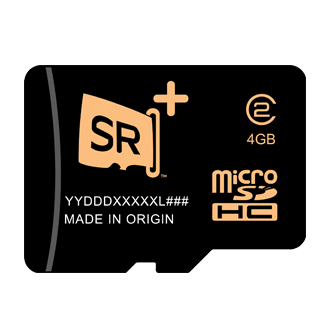 The $49.99 microSD card comes pre-loaded with 1,000 MP3s and boasts an additional 4GB of storage. The Billboard HITS and Billboard DECADES cards are loaded up with 8 preset "handcrafted playlists" and make it easy as can be for you to listen to music on your device. Just pop in the slotRadio+ card, fire up your media player and you're done. The catch seems to be that you can't play the songs in any order you want -- you have to use the preset playlists, and cannot shuffle or rearrange anything. Still, you'll have some cheap tunes and an extra 4GB of storage to do with what you please. Both cards are available from Verizon for $49.99, which seems like about $30 more than you need to spend on a 4GB card for your device. Regardless, if you're feeling lazy and want to pick up the HITS or DECADES card, head over to Verizon Wireless for more info.